Conrad Valmont (Bateman) is the son of the owners of the luxurious Valmont Hotel. He has lived a fairly loveless existence at the hotel since the age of 7 when his wealthy parents deserted him. One day his freeloading, extravagant lifestyle is brought to an end when his absent parents play with the idea of divorce and cut off his money supply. Conrad has to move in with his best friend, Dylan, and promptly falls in love with Dylan’s girlfriend, Beatrice. His simple life is now filled with lies, guilt and uncertainty. But the week that he has with Beatrice is the week he experiences a love he may not have had before, or may never have again. The film styles itself around another world – a modern, yet old world with no mobile phones or computers, soft ageless jazz, pretensions to a sheik sixties… On the one hand – charming. On the other hand – try-hard hipster. 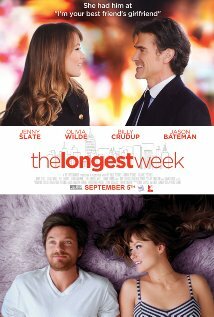 The Longest Week is an amusing film about love. I’ve read a film review in which it is criticised for having no story. There is a story – it’s just not a very complicated one and it only goes where it needs to go. Don’t get over-excited about this flick – it’s pretty cute, you’ll enjoy it if you appreciate the styling, and there’s nothing wrong with the acting, but it’s just not a great Bateman flick. Sandy Patterson is a very straight-laced family man who has his identify stolen by an outrageous and flamboyant woman. 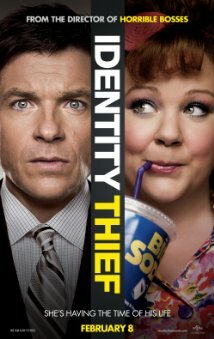 She’s a very good thief and is busy spending his money while Sandy worries about his job and his expanding family. When the police can do nothing to catch her, Sandy goes after her himself. The chase is more than he expected, involving bounty hunters and hit men. Not sure what happened to this potentially exceptional film – but it didn’t come together as it should have. I found the first half a tad laborious. But when Bateman and McCarthy started working together there was a lot more humour and I enjoyed the second half a lot better than the first – it was like they were in a bromance. No doubt that both Bateman and McCarthy are great actors and have done some terrific work with rom coms, but this one didn’t come up trumps. However, it’s not a total failure and still worth a watch. 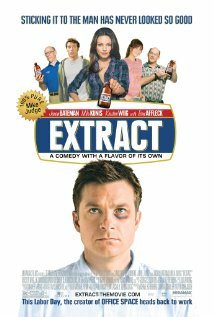 Joel (played by Bateman) is the owner of an extract factory, living moderately affluently with his wife Suzie (Wiig). The passion has gone out of his marriage, and he seeks advice from his bar tender friend Dean (a scraggly looking Affleck). This advice gets Joel into a messy business involving Suzie and a male prostitute. Meanwhile, the factory has problems when a worker incurs a serious injury and threatens to sue the company. Cindy (Kunis), new employee and all-out scammer, is the instigator of the law suit, and the person who Joel seeks to spice up his life. When everything at home and at work is at boiling point, it’s up to him to take control and sort it all out. This is a standard role for Bateman, but the first time I’ve seen Kunis as such a bad girl. Wiig doesn’t get much of a run which is a pity as she could have provided a lot more humour. Look out for a strange cameo by Gene Simmons. 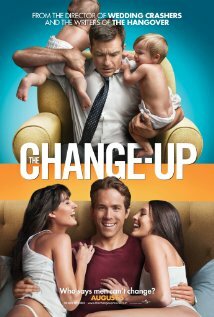 This is quite a light, inoffensive film with a fairly solid plot, and a dash of humour. It’s not worthy of top billing, but it is worth a watch.